DIY Display Case – Thinking about refurbishing your house and want to accentuate it but have no idea what to do? Hanging some paintings will be great, but exquisite paintings can cost an arm and a leg somehow. Let’s try something new like storing your favorite items in a DIY display case and put it the living room. You’ll have the chance to store them neatly while decorating your house. A display case is a cabinet made of transparent glass surfaces so that people can see what is inside. And thus, people often use it as a decorative cabinet rather than storing things due to its exquisite designs. You can also find it in some other places such as in an exhibition, a museum, a retail store,or a restaurant. Having a display case is not just about showing off your collection. Whether it is to display your jerseys, antiques, electric guitars, or ancient photographs, a DIY display case or more can be the solution. You can use it as a medium to display your memorabilia while at the same time reducing potential clutters around the house. Perhaps you are a baseball athlete. Not only that, maybe you also grow up in a family of baseball athletes and fans. Surely, each member who plays has their own gear. 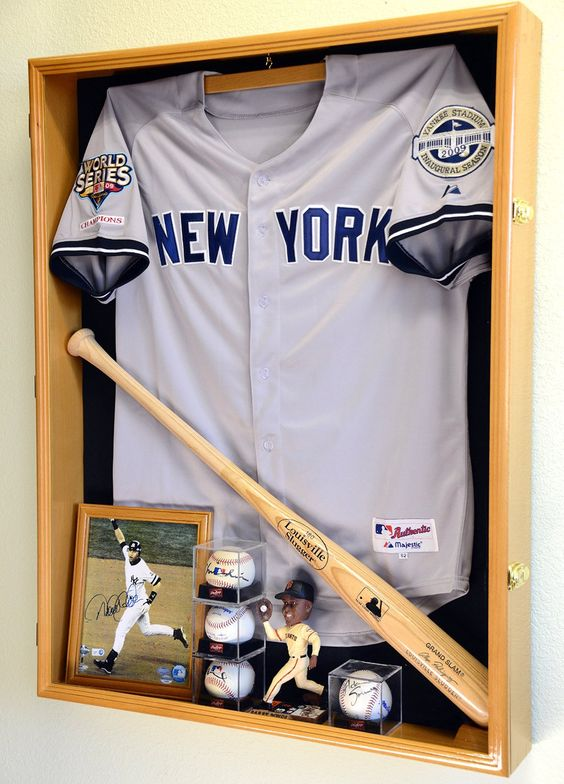 A wooden display case works wonders for your baseball gear collection. 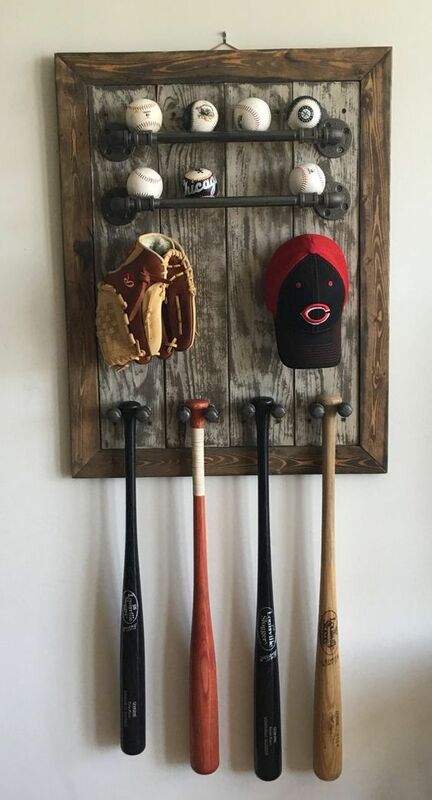 Attach some metal bars (for example: used door handles) to place your baseballs, caps, mittens, and especially…bats. You may come up with an excuse: “Boys will be boys.” Yes, collecting toy cars is your thing. They are not always for something to play with. These miniature, four-wheeled vehicles are just for show. They show the world how much you love cars and how much your knowledge of each car. If you treat them like your regular toy cars, stuffing them in regular drawers will probably your idea. However, you have to set up a proper display case if you want your collection to stay intact. Make decent rooms for storage in one of the walls in your room. 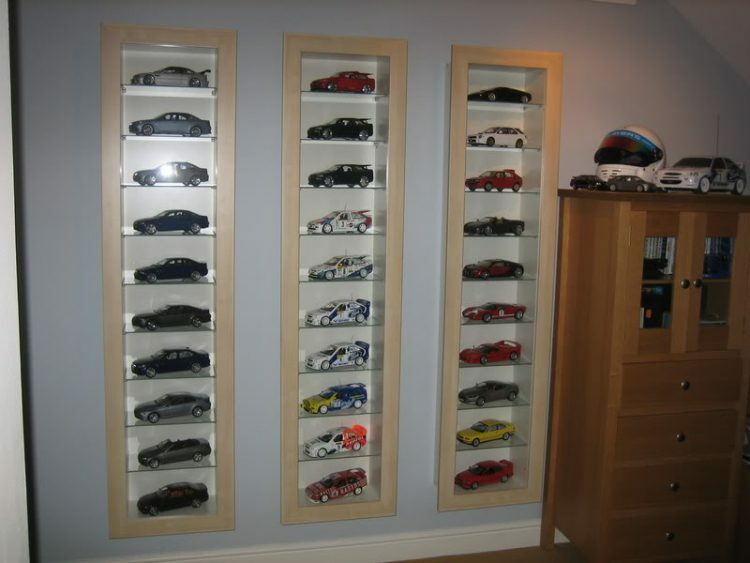 With tempered glass, measurements, and wooden frames, you get yourself a gallery of miniature cars at home. Are you a regular achiever? Perhaps you live with family members who have won plenty of championships and other competitions. Besides medals, sometimes winner receive cups. Now, the problem with these cups is where to store them. If you have a closet with glass sliding door, that is good. If you would like to display them, then this is how you create the case. With the right materials (wood, metal, or thick plastic), you can build a DIY cup display case on the wall. This DIY display case is perfect for art enthusiasts. 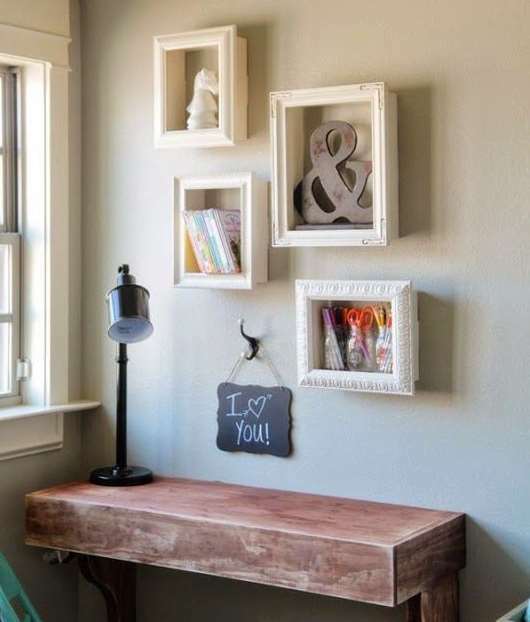 This idea is more like having a bunch of photograph or painting frames hung on the walls. The difference is that the frames are more like display shelves, where you can put anything on them. For example: books, small figurines, and many more. If your wall is white, then white frame-like cases for display are better. If you would like more colours, something monochromatic like black or dark brown could be your choice too. This is the digital era where online games are collected like precious items. If you are one of the collectors and online game players, you will need some decent space to store them all. 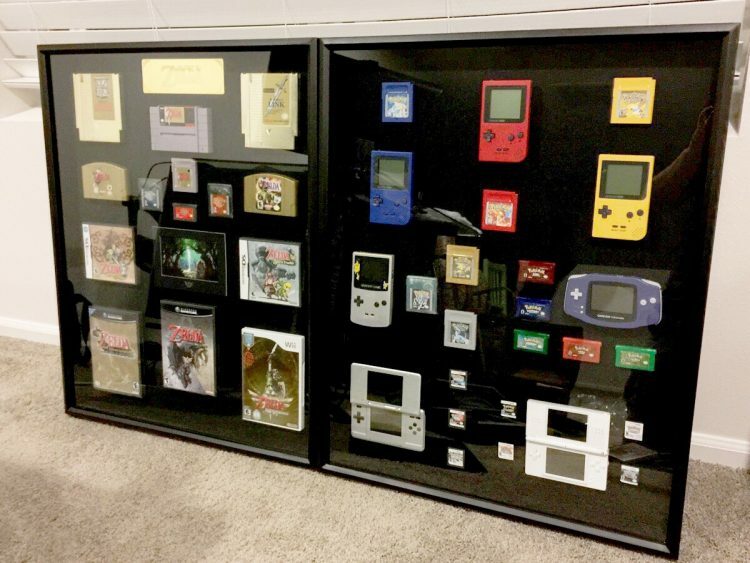 A huge, DIY display case hung on the wall can store all your Gameboys, Playstations, video games, and many more. Glass sliding doors work as their protectors. Whether you are a Star Wars fan, into X-Men, or any other superheroes you know, surely you have some serious amount of collectible items. With this DIY display case, your collection of superhero action figures and other merchandise items are safely gathered. 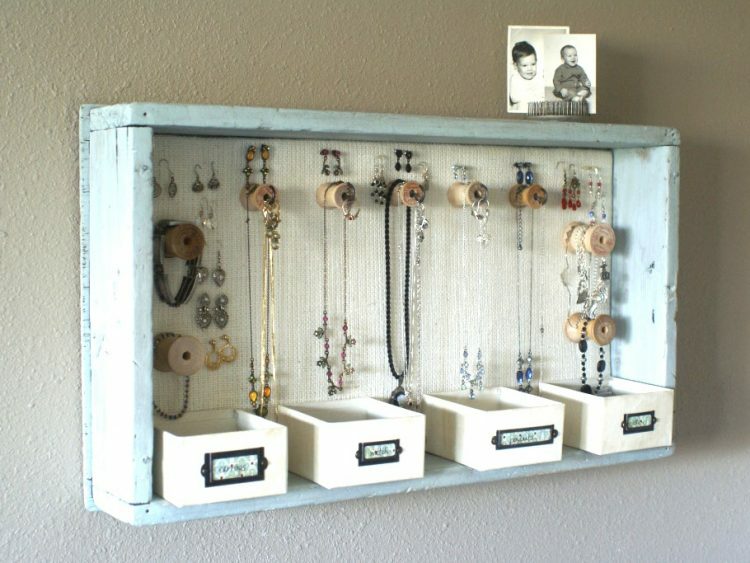 You can use either used wooden boxes or drawers for this. If you prefer used wooden boxes, remove the lids before you stick them to the wall with nails and hammer. 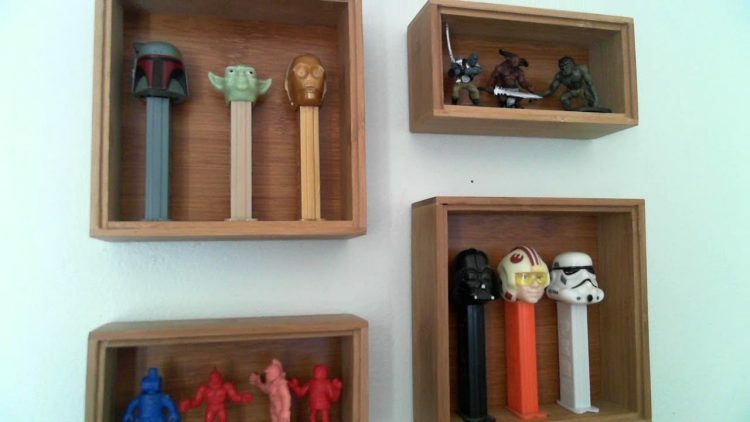 Then you can start storing your Star Wars action figures and other stuff related to your favourite superheroes. 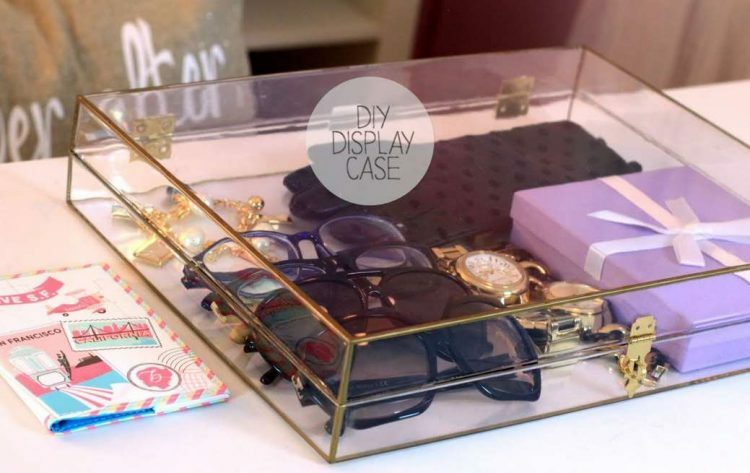 This DIY display case for jewelry is inspired by the similar ones at jewelry stores. You may use a used wooden box or an old drawer. To make this jewelry display case look more beautiful, you can paint the background with soft pastel colours. Another alternative would be to use a wallpaper cut out according to the frame size. To hang the necklaces and bracelets, you can stick some pieces of woods that are used to roll the yarn. Stick them to the centre of the display case. You may also add some smaller boxes on the inside of the frame. These boxes are useful to store earrings, smaller pendants, and bracelets. Many people will probably assume that all women cannot settle with just one pair of shoes. Well, even if this is true, that does not mean it is something bad and to be ashamed of. What makes it bad is probably when you realize you need enough space for your shoes. No worries. Choose one corner of the room. 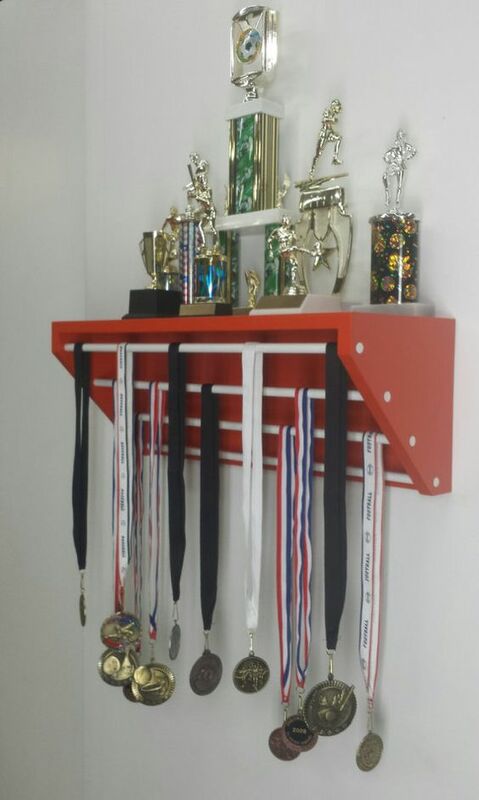 Set up some built-in platforms on the wall for your shoes. Whether you use wooden or metal platforms attached to the wall, make sure that they are of the same size and enough for your shoes collection. 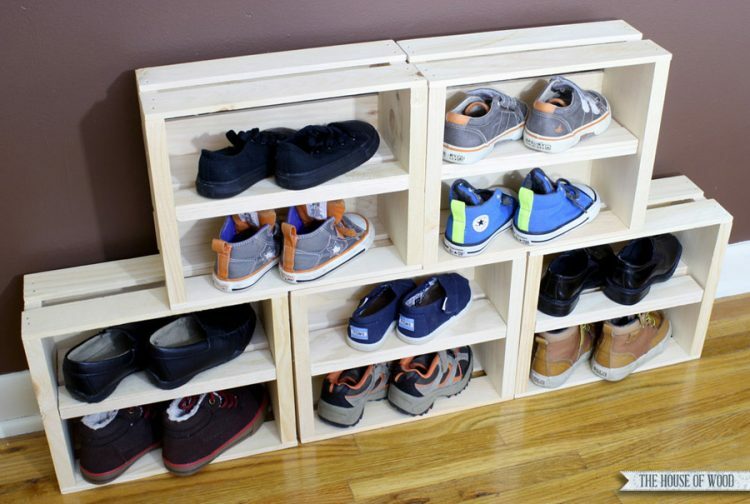 This is another DIY display case for your shoes, including your sneakers too. Easier to create than the previous one, all you need is enough used wooden crates, boxes, or you can design the display case yourself with other materials. You do not need to rearrange your wall surface for this. Just pile these display cases on the floor on one side of the room. Then place your shoes in each frame. This is probably one of the most favourite display cases. Not only it is easiest, it does not take up much space either. 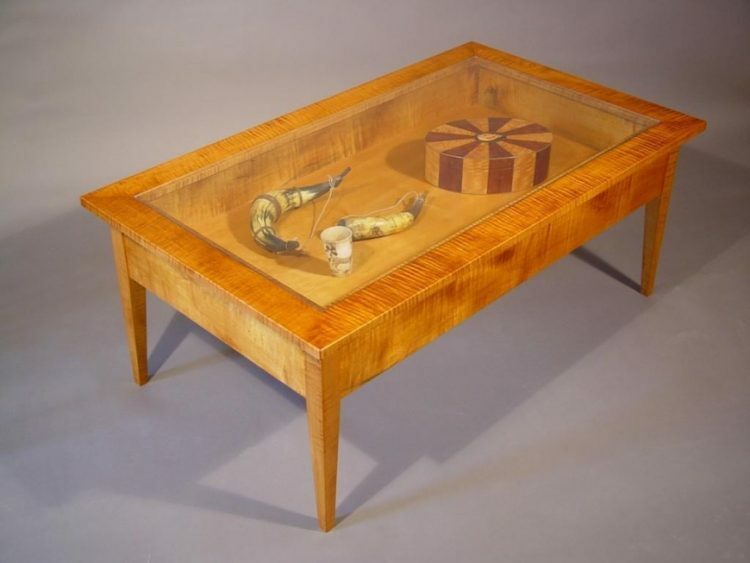 All you can do is create a space inside the table and fill it with things you would like to display. After that, cover the top with a glass frame. This DIY display case is inspired by tables at some restaurants. Choose your DIY display case wisely before creating one. Have fun. It is a little bit creepy and eerie, isn’t it? But it will look cool when displayed on Halloween─ a day on which being creepy is a must. The good news is you can make it by yourself. You will only need some wood planks, a hammer, and some nails. First of all, make a coffin like the usual coffin that you see. Then, add some wood planks inside the coffin as the dividers. 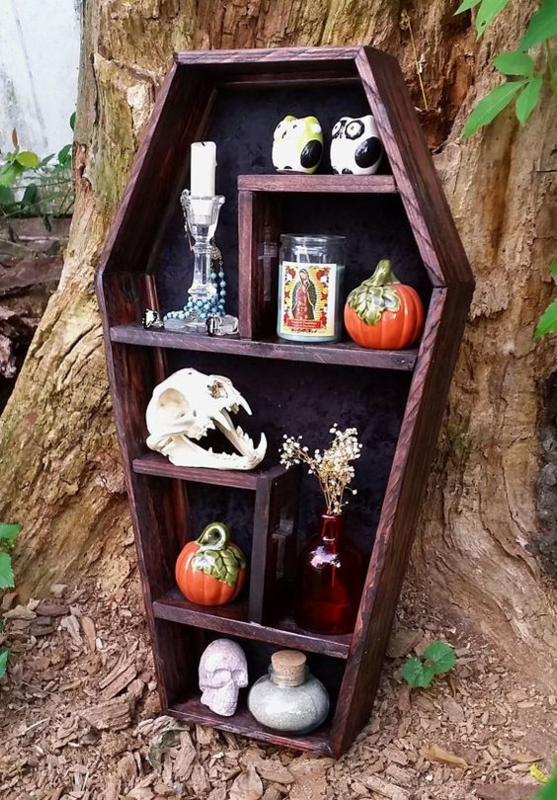 Now you can store Halloween stuff like skull and pumpkin in it. Put it in your front yard to impress your neighbors. Trick or treat! A veneered and stained wooden display case always provides luxurious touch to the interior design of your house. Its luxury fits very well to your golden goblets and medallions, highlighting your achievements well. Placing two transparent boxes right in the middle of the display case will make it more beautiful because it creates a conspicuous look that grasps everybody’s attention. Turquoise is such a soft color. And it usually provides classic ambience to the room. 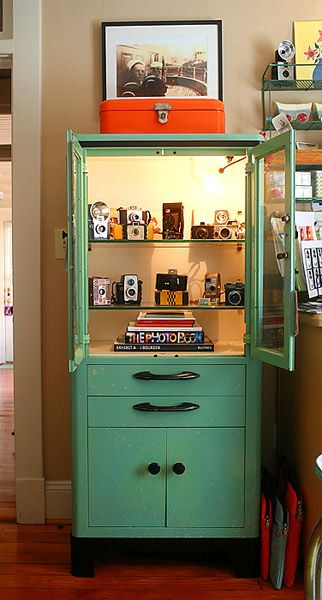 This turquoise display case is very suitable for storing antiques like plates, glasses, or even your antique cameras. This display case features two drawers and one cabinet that you can use to store some odds and ends so that your house stays clean and neat. 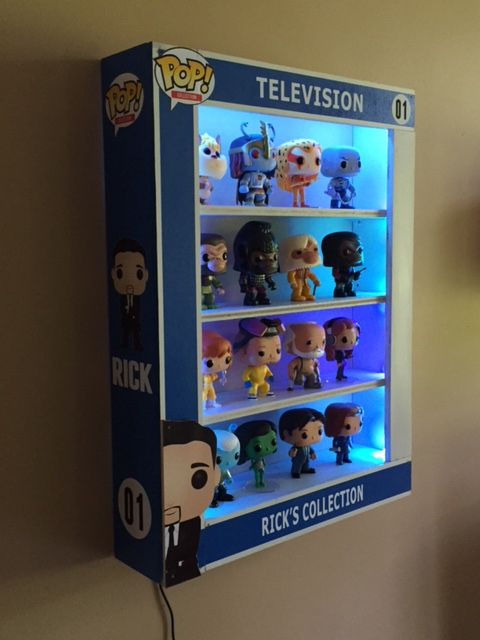 It will be better if you install a lamp inside the display case to make your collections look epic. Not only do kids like watching superhero movies, but also adults. Some of them are even addicted to those movies and begin collecting some action figures that can cost too way exorbitant. But what are the action figures for if you do not show them off? 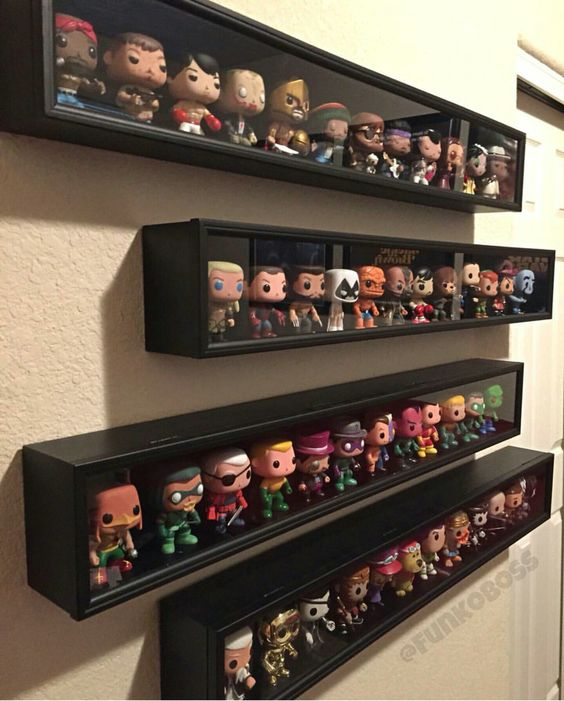 These display cases will hold your action figures very well and make them look great. The cases are not too big and spacious, but they provide sufficient spaces to put your action figures there. Collecting action figures is not always synonymous with kids. The truth is some men like doing it as their hobby. And, of course they need a place in which they can store their action figures as well as showing them off. This blue display case is such a nice place for your action figures. It looks like a first-aid kit case with a transparent lid, some dividers and blue light that makes the action figures look more impressive. Gemstones and mineral crystals are so popular in some countries. They come in a breadth of types, shapes and colors which make their cost varied. But one thing for sure, they are really exquisite. And, exquisite crystals need an exquisite display case too. 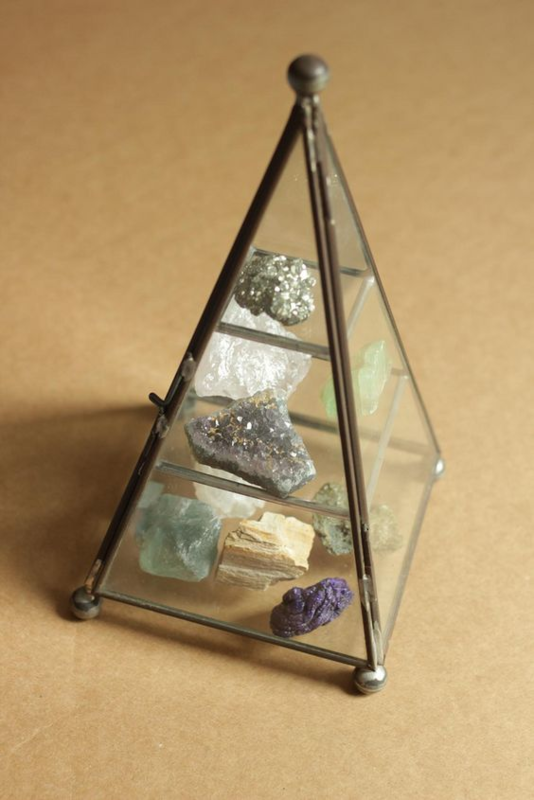 This pyramid display case will enhance the look of your gemstones and mineral crystals. The pyramid is divided into three parts enabling you to organize gemstones well without simply stacking them. The small size enables it to be placed on a table so that it will be easily noticed. Terrarium is a brilliant way to bring living things inside your house. It is exceedingly beautiful because you keep some plants and soil inside a transparent container and place it on a table or next to your bed. What makes it more beautiful is the container. 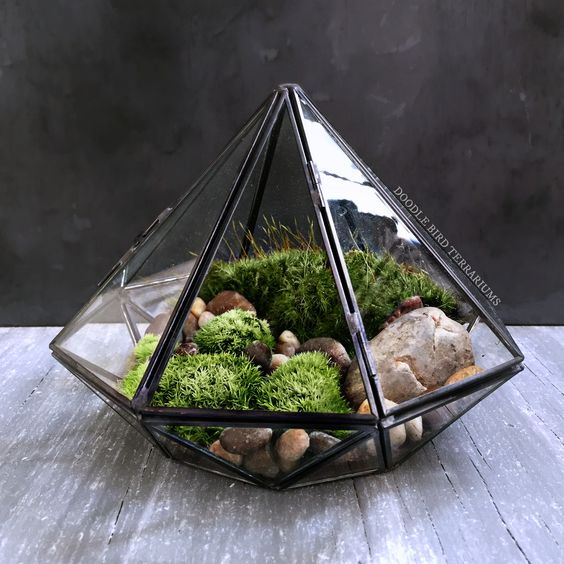 This terrarium is placed in a transparent pyramid. The concoction of greens and natural colors of stones make this terrarium look more adorable. Everybody has their own role models who are always inspired them to be better. For some people, meeting their idol is such an unforgettable moment, so they think they need to make the moment last forever by putting a signed photograph and baseballs in a display case. This display case is very simple with only one loose compartment without any dividers. It enables you to hang your idol baseball T-shirt, baseball bat, and even a signed photograph. Some people have unique interests such as collecting antiques, bikes, stamps, or even daggers. Collecting daggers may sound a bit peculiar, but a dagger collector does exist. If you want to collect antique daggers, please do. But pay attention to your family’s safety. 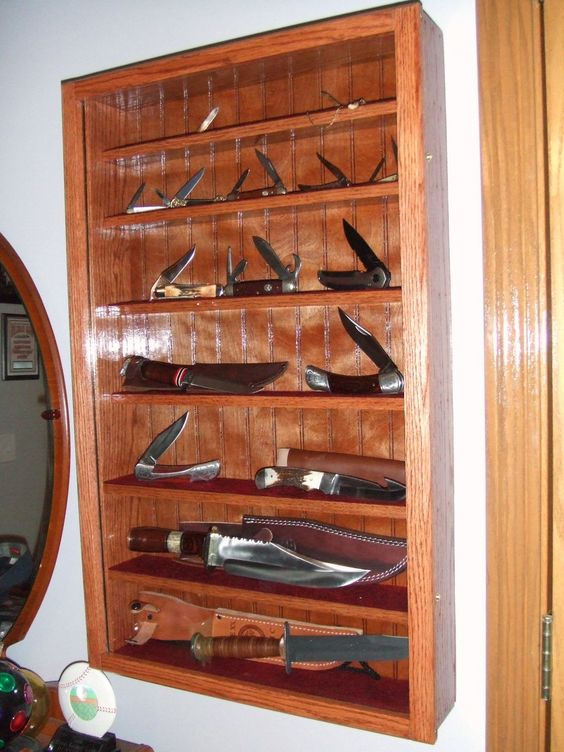 You need to put your daggers in a safe place. This display case can be your best solution. The levitated case mounted from the wall makes it hard for toddler and kids to reach it, so it won’t cause any harm to them. The combination of veneered hardwood and transparent glass as the lid exposes the daggers clearly. Do you run a fashion business and sell some fashionable clothes and stuff? 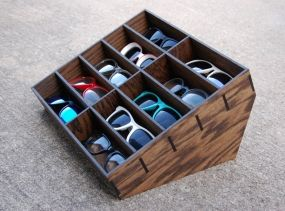 Try displaying some stuff in a new way, like this display case for sunglasses. Sunglasses are usually displayed on a cylindrical object that can be rotated. But this display case is a little bit different. Instead of being cylindrical, it is only an opened rectangular case with some dividers that are added to make the sunglasses fit in. As you can see, display cases are not solely a storage cabinet in which you can put anything in it. The use of display cases has changed from a cabinet used to store things into a transparent cabinet that has accidentally been a part of home improvement. And those 10 ideas for DIY display case can inspire you to take your display case to the next level. There are many other creative ideas that you can explore from the above 10 ideas. You can use one of them or combine some of them by harnessing your creativity. Don’t be afraid of exploring things and find what the display cases can do to your interior design. Placing a display case in the living room will make it noticeable. And it’s also a convenient way to refurbish your house by using one of those DIY display case.